In January there were only a few transactions. 02.01.2014: 175,000 NXT was transferred to the GLYDA Account in respect of the JLH Lotto prizes. 17.01.2014 : 50,000 NXT was transferred to the GLYDA Account in respect of the January bonus for JLH holders. January bonus for all jl777hodl investors will be paid out tomorrow (Saturday, January 17) at a rate of .005NXT/asset. We’re calling this a bonus and not a dividend because only NXT received by the fund will be distributed and the amount and timing will be at the discretion of jl777. Currently, the fund has 51,461.13NXT and so 50,000NXT will be distributed to hodlers. Thanks everyone for your continued supported and investment in jl777hodl! Feel free to contact me anytime for details/question. 57,359 OPALTKN from a dividend of InstantDEX. 1959 NXTCS from a dividen of SuperNET. 1.4736 SuperNETx2 from a dividend of OPALTKN. HRNXTPool is the biggest dividend provider in the JLH portfolio. But what is it? HRNXTPool is the asset of hashrate.org, the first mining pool based on NXT. HRNXTPool’s revenue comes from the 2% fees charged by the mining pool + the mining profit generated by the ‘community owned pool’ (COP) ASIC mining hardware, the most power efficient (on a W/GH metric) available on the market. The manager of hashrate.org is pf a well known member of nxtforum.org. For further information and to ask any questions, visit the HRNXTPool topic on the Nxt forum. JLH portfolio owns 10,750/100,000 HRNXTPool, 10.75% of the venture. Next month should be very quiet. A new bonus will be paid, though certainly smaller than this month’s. James hasn’t announced any new assets recently and most assets won’t be paying out dividends for a few weeks except Coinomat. But the InstantDEX and the SuperNET projects could be ready very soon and the JLH portfolio should have new sources of revenue in the medium term. ‘jl777hodl’, abbreviation JLH, is the first and biggest ‘portfolio of Assets’ on the Nxt platform. It was created on 17 May 2014 by jl777 (an active and respected member of the community and creator of SuperNET). From the beginning, jl777 has been including in the portfolio a proportion of his new ventures (5-10%) and some of the Assets he receives from promising companies. The intention isn’t to trade the assets, but instead to hold them in the portfolio permanently (or almost…). Except in rare and special case, no assets will ever be sold. Some of the revenue generated by the portfolio’s assets in 2014 was invested in the acquisition of new ones. But the main part of the portfolio consists of assets which have been added by jl777. You can see the actual composition of the portfolio in real time on the Nxt blockchain on the account NXT-2AHU-UXZW-K9Q2-HENLW. The ownership of the JLH portfolio is shared between the owners of JLH Assets. There are 10’000’000 JLH (Asset ID 6932037131189568014). This means that 1 JLH represents 1 in 10’000’000 of the portfolio. JLH is a promising portfolio which covers the most interesting Nxt projects created since the Asset Exchange launched. Such a portfolio should generate a lot of investor interest. In his projects, especially for the Asset/Asset exchange InstantDEX, jl777 needs a stable asset with a big volume of transactions. JLH, with its varied and promising portfolio, is perfect for jl777’s projects. JLH is an important financial tool which provides a valuation reference for InstantDEX and the asset trading tools created by jl777 for SuperNET. The jl777 portfolio has two sources of NXT revenue: the dividends it receives from its assets and forging revenue. In 2014, this revenue was invested in new assets and to pay for events that were organised to increase the transaction volume. Starting in January 2015, the revenue will be partly distributed to the JLH holders as a bonus. A big part will go to the holders and the rest will be used for JLH management and promotion . The NET Asset Value (NAV) is the basis of valuation of the JLH asset. The NAV per share is calculated by dividing the total value of the portfolio by the number of the shares (10’000’000). You can find a good estimation of the portfolio’s value on Nxtreporting. As the value of JLH’s underlying assets increase, so does the value of each individual share. Sometimes, however, the share price doesn’t always reflect its actual NAV (Net Asset Value). In late 2014, jl777 tasked LibertyNow to act as a ‘market maker’ in order to keep the share prices closer to NAV by increasing liquidity and market visibility. LibertyNow makes his own calculation of the JLH asset’s NAV; he bases it on an average of the last trade price/high bid price/low ask price. It’s a little different from Nxtreporting which only uses the last trade price. jl777 (James): founder and manager of the portfolio. If you need help, would like to buy/sell shares or have any questions, feel free to PM LibertyNow or Ludom on bitcointalk.org, nxtforum.org, forum.thesupernet.org, or in Slack. The purpose of this list is not to play police but to be a place where any investor can do some research before investing in any assets. Treat this thread as an Asset Directory for the time being, a short term solution for new comers and new investors. WARNING: This list has not been updated for a while. Some of the assets may be abandoned. The Nxt AE is a decentralized market, asset issuers and scam assets can not be banned or removed from the blockchain, only downvoted and avoided so please do your own DUE DILLIGENCE. * Please report immediately if you find the link to Asset Board thread is broken or that there is an asset missing from this category. Note: I am not perfect, so I may have missed some of your assets; if I have, please make contact, and I will add them to the list as I go. For the time being I am going category by category to make my life easier. I am still experimenting on the most efficient format of information sharing, so let’s discuss if you have any ideas to improve this. Anyone is welcome to help me in compiling the information. 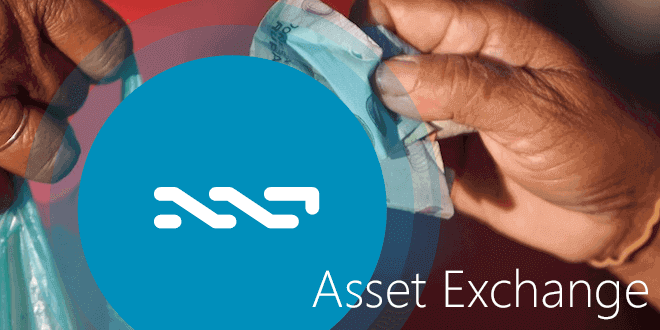 Nxter.org pays Nxterpoints (NXTP) for asset updates. Chip in. Also, if you are an asset issuer and want further exposure on this site, please contact us. Créés le 16 mai 2014, les MIC, acronyme de MOST INTERESTING COIN (Pièce la Plus Intéressante), a depuis su trouver sa communauté d’adeptes. Dans un premier temps présenté comme un asset non sérieux, dont la distribution se faisait via le partage de memes (images rigolotes customisées selon son état d’esprit), le MIC a su évoluer vers un asset prisé ayant son public de fans. Sur le fil de discussion de MIC, les amateurs rivalisent d’ingéniosité pour créer les memes les plus originaux selon les thèmes défini en fonction des actualités de Nxt ou des autres cryptomonnaies dans le but de recevoir des MIC (89’000 MIC pour un meme partagé). A ce jour, le sujet comprend 1541 messages et a été visité plus de 35’000 fois. Le MIC a été créé avec une base de 1 milliard d’unités, à ce jour 740 million d’unités sont sur le compte genèse (créateur de l’asset) et 67 million sont sur un second utilisé pour la distribution gratuite des assets. Les unités de MIC sur ces deux comptes ne doivent pas être considérés comme en circulation. Le MIC ayant attiré l’attention du fond JL777hold, 100 million de MIC ont donc été incorporés dans ce trust fund, utilisé comme valeur refuge dans l’écosystème Nxt grâce à sa grande variété dans l’investissement. Hormis ces quelques comptes détenteurs de MIC que l’on peut qualifier d’institutionnels la répartition des MIC se lisse et commence à être “mainstream”. Les 85 millions de MIC en circulation (ceux qui ne sont pas sur les comptes cités précédemment) sont répartis sur 160 comptes avec les 15 plus gros détenteurs de MIC possédant 55% des 85 millions de MIC. La quantité moyenne de MIC par compte est de 530 000, c’est la quantité de MIC que l’on obtient gratuitement en partageant 6 memes. De plus, il n’y a que 30 comptes qui soient au-dessus de cette moyenne, et les 50 plus gros comptes (30% des 160 comptes) ne possèdent que 78% des MIC en circulation. Avec la moitié des MIC dans les mains de 15 comptes la répartition n’est pas mauvaise (pour couper court à toute analogie avec la répartition des BTC parmi les plus gros détenteurs). En effet, le fond de distribution encore disponible est de plus de 800 millions de MIC, le projet est donc qu’à ses débuts. En passe de devenir un vrai phénomène avec une transformation d’asset en une sub-devise du Nxt via le protocole MSC (système monétaire), le MIC vient de voir apparaitre sa première utilisation dans le cas d’une vente d’un objet physique Reveil en vente (sous la forme d’un transfert d’asset en attendant la mise en place du MSC). Le monde des cryptomonnaies est rempli d’exemples de beaux projets abandonnés par ses développeurs ou ses investisseurs suite à un manque d’intérêt ou l’apparition d’une nouvelle technologie plus innovante. Avec MIC, cela ne semble pas être le cas après 7 mois d’existence. MIC a su être le premier asset dont la distribution est basée sur la contribution via le partage de meme (Proof of meme). Et à présent, il prend très tôt le virage de l’arrivée des sub-devises sur Nxt. En tant que millionnaire en MIC j’ai hâte de voir les évolutions que peut prendre le MIC et souhaite qu’il réussisse cette transformation pour devenir l’une des sub-devises les plus utilisées du réseau Nxt. Connaissez-vous MIC ? Il s’agit d’une de mes créations sur Nxt. Cette aventure a démarrée anonymement le 16 mai 2014 sous la forme d’un actif hébergé par Nxt. Après un démarrage sur les chapeaux de roues, j’ai révélé mon identité pour expliquer la démarche sociale et artistique qui sous-tend le projet MIC. MIC est donc une expérience culturelle liée à Nxt et sa communauté. 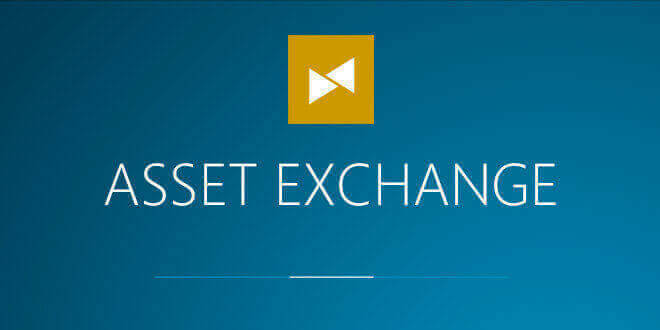 Il s’agit d’un des tous premiers actif de l’Asset Exchange et d’un fil de discussion exutoire pour la communauté lorsque Nxt connait des succès ou des revers. Les actifs « MIC » ont une valeur qui fluctue entre 0.0001 et 0.0006 NXT par unité. Le projet est à mes yeux un grand succès. Mais le projet MIC n’est pas parfait et doit évoluer pour prendre tout sa valeur. Tout d’abord, le statut d’actif n’est pas satisfaisant. Certes, les actifs de Nxt et le marché des actifs sont jusqu’à présent les meilleurs outils à disposition pour MIC mais Nxt évolue et proposera bientôt de nouveaux outils plus adaptés à la fonction « monétaire » de MIC. Bien entendu, la transition pour toutes ces étapes doit être préparée avec soin et la tâche ne sera pas facile. – Rassembler une réserve de token NXT conséquente pour créer et soutenir dans ses premiers pas la nouvelle subdevise MIC. Organiser la transition entre une monnaie basée sur la distribution « Preuve par le Meme » (Proof of Meme) à une monnaie à dividende universel. Il faudra développer la promotion d’une telle monnaie. Cela signifie qu’il va falloir faire un effort de communication mais également développer un réseau économique dans Nxt qui accepte la devise MIC (achat et vente d’actifs et boutiques sur la place du marché). Pour ma part, je crois vraiment dans la réussite d’un tel projet qui allie toutes les qualités techniques et tous les outils de Nxt avec une distribution large et équitable. Le plus gros écueil reste à mes yeux la mise en place d’une gestion automatisée et intégrée à Nxt de la monnaie libre MIC, mais les projets uCoin et OpenUDC me laissent bon espoir que des solutions seront rapidement possibles. I get so many PMs with that same question [which of my assets is the best one to invest in? ], I decided to solve this matter. I made jl777hodl asset. when possible, it will simply hodl ~10% of the assets that I create. I cant guarantee every asset will make it into this account, but once it does, it will be there to stay for the long term. JLH will be the reference asset in InstantDEX / SuperNET, read more: SuperNET Newsletter #10. This asset will not pay dividends. It will contain portions of almost all of the assets that I issue, the target percentage is 10%, but actual percentage will vary. Some issues will have more than 10%, some assets I wont be able to put here. Once the assets are in this account they will probably stay there long term, but occasional changes will be made at then current market prices. NXTprivacy holds a series of privacy-related assets, including 50 percent of PrivateBet. Teleport revenues will flow through NXTprivacy. It also holds 30 percent of the SuperNET card asset, representing 0.3 percent of all the card’s transactions. I personally issued NXTprivacy asset #17911762572811467637 from my personal acct NXT-DE2F-W76R-GL25-HMFPR. I then created an acct for NXTprivacy NXT-KKNV-8EPK-W2S4-96VTK and it will issue NXTcard, Privatebet and privateNXT. If I come up with any more privacy related projects, NXTprivacy will be the asset that it will be put into. With its current >50% ownership of Privatebet, NXTprivacy will get the majority of the dividends from Privatebet. I expect Privatebet to be much more of a pureplay moneymaker as betting is quite popular and being able to bet privately should have a significant market. However, NXTprivacy is more of a community spirit asset as providing NXTcard (cryptocard) and privacyServer is definitely a benefit to the overall community. I tried to make it so that NXTprivacy will get enough profits from its Privatebet ownership to make NXTprivacy an attractive investment. The transporter will be built into BTCD core, but it will be able to Teleport any coin (as long as the interface for them is implemented). NXTprivacy will get 0.1% of teleporting BTC and other coins. NXT will get a big discount on teleport fees. There has been debate over having NXT core itself support anon tech as it could become some sort of red flag for all the govt to come after NXT. By having it in an external, but tightly integrated separate codebase, the users can get a seamless anon transfer, but it is not even part of NXT itself, so that makes NXT immune from attacks based on this. I think when people can simply click on a “privateSend” button to send NXT and it works seamlessly, most people wont care how it works under the hood. After evaluating all the cryptonote’s (including the reference code), I have chosen Boolberry as the one to work with. If you are deciding between all the various cryptonote coins, BBR is technically the most superior. Anonymous debit card that can be loaded with crypto -> local fiat. NXTprivacy owns 30% of cryptocard, which is 0.3% of anon card transaction volumes. NXTprivacy will develop privacyServer daemons for people to run on their unix nodes to earn nodecoins and offer low cost privacy services for users. The goal is for each server to be able to generate enough revenues directly to cover all operating costs so that we never have to worry about not having enough ddos protected servers running NXT core. I want to make it so that we dont have to keep subsidizing the servers and privacyServer will hopefully create way for people to fully pay for a NXT node, maybe even make a little bit of money if they have a lot of subscribers. So the subscribers to the privacy servers will not only be gaining an extra level of privacy, they will also be helping the NXT network itself. It will also allow you to have unlimited encrypted chat with no additional fee over the base subscription price. I plan on giving away the privacyServer daemons to help strengthen the NXT network and allow the sometimes underappreciated server guys a way to recoup their costs of running NXT core nodes. NXTprivacy is dealing with monetizing privacyServers and whatever it can get from that will also add to NXTprivacy dividends, plus maybe some more privacy oriented things. NXTprivacy will contain various privacy related projects. It will hold significant percentages of several other privacy related assets, like Privatebet and NXTcard, and it will also create privacyServer software for server hosts to run. Any dividends NXTprivacy receives from assets it holds, will be redistributed to its assetholders on a prorata basis. The privacyServer software will provide services for customers that will allow server hosts to recoup some or all of their costs in maintaining a NXT node. Additionally, NXTprivacy will make a market in privateNXT. Please follow the nxtforum.org section on NXTprivacy for more information. Sharkfund0 is a trading fund that targets high-performing assets. Sharkfund0 owns 11 percent of all BTCD and 10 percent of BBR. It also has 20 percent of NXTprivacy, 10 percent of InstantDEX, 12 percent of jl777hodl (JLH), and around 10 percent of the Coinomat asset. To date it has returned 300 percent in three months. It’s an opportunistic fund that will make short term investments it feels will have a positive ROI in the crypto space. If there is an arbitrage it will do it. If there is a chance to put funds in at the groundfloor in a NXTventure offering, it will do it. sharkfund0 is a pooling of funds and all purchasers of sharkfund get the same return. From the smallest investor that puts in 1 NXT to the big whales who put in millions of NXT. sharkfund0 represents investment capital. Investors who purchase sharkfund are piggy backing on my personal investment decisions and I now have voldemort to bounce ideas off of and we use a buddy system to make sure each investment has the proper risk/reward. Sharkfund0 is similar to an open ended fund. The sharkfund0 asset is tuned to reflect Teleport, think of it as a sector fund. Each purchased sharkfund0 asset represents a proportional share of the fund’s crypto holdings. NXTsharks will actively manage sharkfund0 to maximize its market value. 25% of profits are assetized by the NXTsharks assets, the rest compounds in sharkfund0. 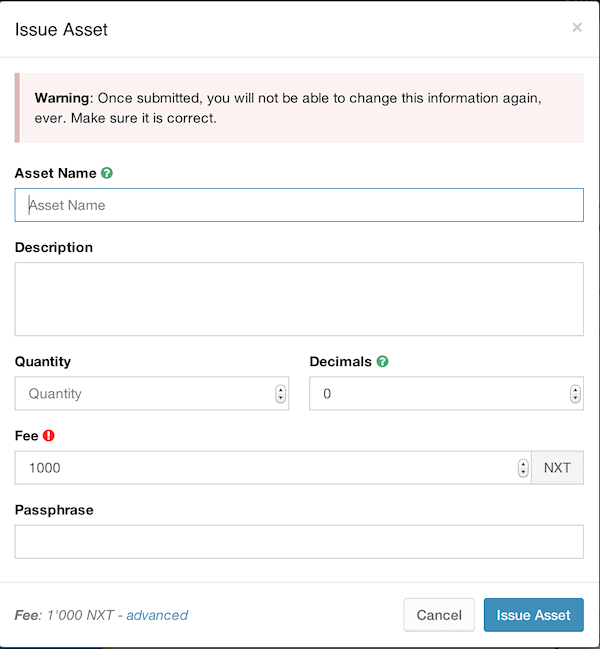 The sharkfund0 assets held by NXTsharks are unpurchased assets and are not bound to anything, NXTsharks will never sell unpurchased assets via AE. Initially, the value is set to 10000 NXT per asset. After the initial funding, additions are made at the marked to the market value of all previously purchased sharkfund0 assets. 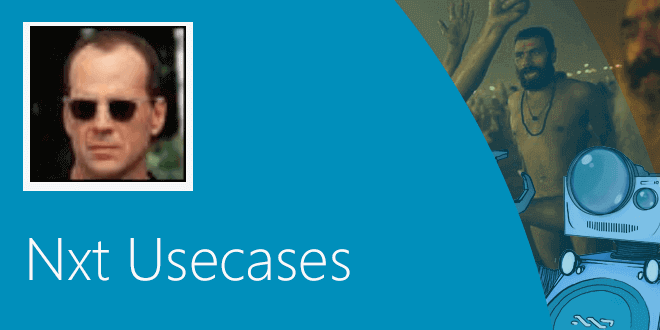 Purchases using non-NXT crypto is done manually on a case by case basis, minimum 10 BTC. It is preferred to make withdrawals simply by selling the asset using AE, but NXTsharks can accomodate requests of larger cashouts manually. please check the NXT forum for up to date details.